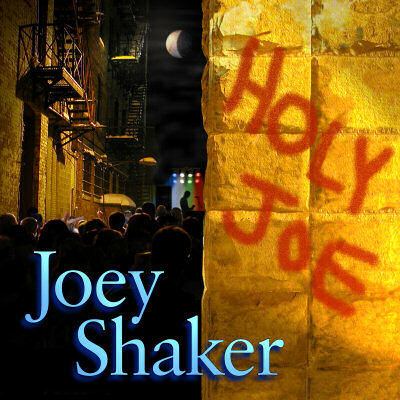 HOLY JOE Joey Shaker surprises their audience again with new twists on soul, jazz and progressive rock stylings. This is certainly their best CD yet with swirling tones and over the top arrangements. It's an amazing work that delivers music like you've never heard. an eclectic mix of inspired original music. 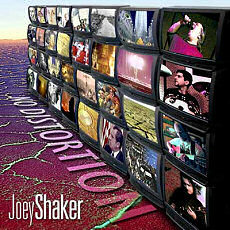 NO DISTORTION Joey Shaker broaden their unique sound on their third disc, with "No Distortion," a 14 song CD of inspired acoustic compositions, arranged with piano, organ, saxaphone, percussion, and beautiful 12 string guitar. "No Distortion" highlights the bands ability to shine in a variety of styles with the top notch production their fans have come to expect. 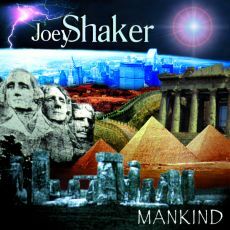 MANKIND On January 21, 1999, the band's second CD, Mankind, was released on Common Era Records. A ten song collection of catchy, yet sophisticated songs, elegant in their usage of musical color, texture and meter. Here, with state of the art sound quality, the band members shine as "musicians' musicians." THE WORD OF POWER Their first CD, The Word of Power, an 11 song compilation of stylish and intense compositions, draws upon an impressive variety of musical forms, including jazz, gospel, and thunderous rock-n-roll. The CD was produced and engineered by Joe Santora and Peter Zaage, with Dennis DeRado and Sean Tuohy as co-producers. This first production for Common Era Records took over seven months to complete, and truly captures the band's unique sound and live energy. Is it in Your Heart? JOEY SHAKER'S multimedia show, utilizing stage props, video footage, and other special effects, sets them apart from other bands of this genre. More than just a concert - their live act is a unique and emotional rollercoaster ride - taking you through spontaneous tirades of heavy drama, stand up comedy, and outrageous spiritual commentary from one moment to the next. 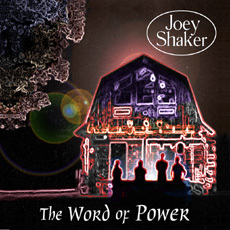 Combine that with the progressive modern rock sound and powerful message the music delivers, and JOEY SHAKER makes for a unique and moving experience.